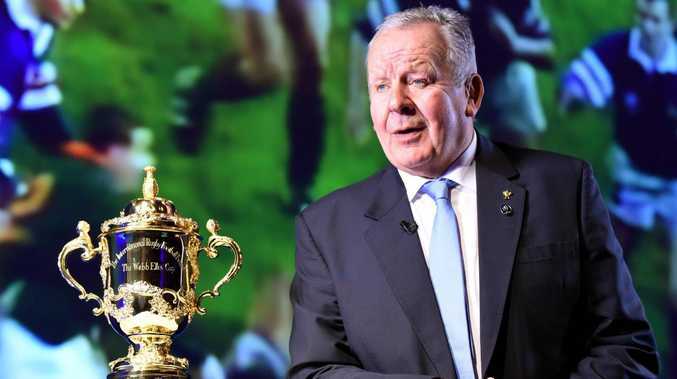 World Rugby chairman Bill Beaumont speaks beside the Webb Ellis Cup. WORLD rugby chiefs have published detailed plans for their controversial new annual Nations Championship that would see northern and southern hemisphere teams compete in a global tournament including promotion and relegation. 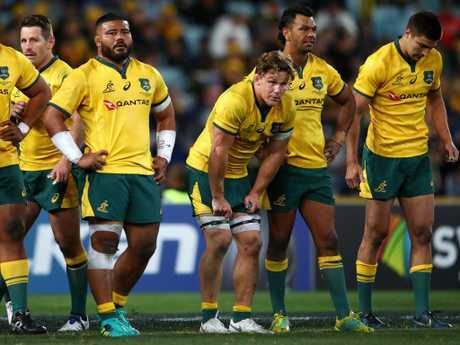 Governing body World Rugby was widely criticised by players' unions over the idea of a 12-team league. Reports said Fiji as well as fellow Pacific Islanders Tonga and Samoa would be excluded and leading Test stars voiced fears over undue player strain. A boycott of this year's World Cup in Japan was mooted by the London-based Pacific Rugby Players Welfare organisation to include even those of Pacific Island origin playing for other teams. 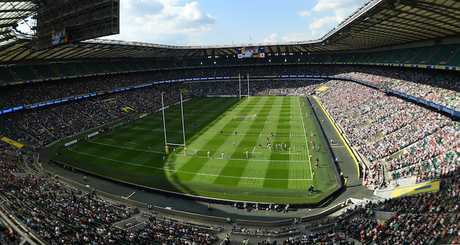 But World Rugby has outlined its concept for the new tournament, which would start in 2022, ahead of meetings in Dublin next week, saying it was "committed to the global advancement of rugby." "Contrary to reports, our proposed competition provides opportunities for all teams to compete at the top level on merit, with promotion and relegation," it said in a statement. "Under this model, the Pacific Islands and all teams outside the current Six Nations and The Rugby Championship would have a potential pathway to play annually at the highest level of the game for the first time. The proposed Nations Championship would feature 12 teams divided into two conferences. "Player welfare is fundamental to our sport," it added. "Within the original proposal, players would play a maximum of 13 matches if their team reaches the final, compared to an average of between 12 and 14 Test matches presently. Most teams would play 11 matches." The proposed Championship would see the formation of two conferences - a European conference and a rest of the world conference - each with two divisions of six teams and a third division comprising 16 teams. Each nation in the top division would play the other five nations in their own section as well as the six in the other conference, making a total of 11 regular season matches per nation, per year. 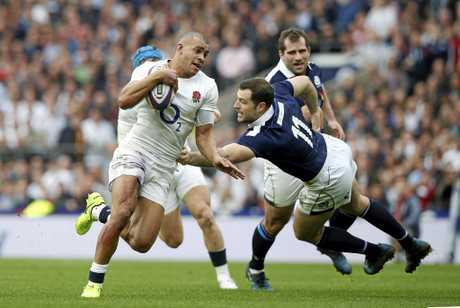 The European conference would initially comprise the Six Nations teams - the current trophy would be awarded after the five rounds of fixtures between those teams, with championship points carried forwards for remaining fixtures. The rest of the world conference would comprise the Rugby Championship teams - Argentina, Australia, New Zealand and South Africa - plus two further teams, qualifying on the basis of World Rugby rankings. The Wallabies would be included in the southern conference. Under the current rankings these would be Japan and Fiji. The top two nations from each conference would play cross-conference semi-finals in November, followed by a grand final. The competition would not be held in a Rugby World Cup year and there would be a truncated version in a year featuring a British and Irish Lions tour. World Rugby said it had been tasked by unions last year to look at competition structures that could reinvigorate the July and November windows. The aim was to improve opportunities for players, establish a pathway for emerging nations and financial certainty. "Using the existing calendar windows the World Rugby Nations Championship will provide season-long context and meaning to international rugby," World Rugby said in a video presentation on Twitter. Division two would be the same format as division one, with conference winners facing off in relegation and promotion playoffs against the teams finishing bottom of division one. There would also be promotion and relegation between divisions two and three. "With the proposed model incorporating competitions that are not owned or run by World Rugby, not all unions are presently in favour of immediate promotion and relegation," the World Rugby statement said. "We continue to consider the feedback, but remain absolutely committed to an eventual pathway for all. "Change is always difficult, and nobody expected complex multi-stakeholder discussions to be simple, however for a sport to grow and thrive, it must explore ways to innovate and evolve," it added. The game's powerbrokers also revealed proposals to expand the Rugby World Cup from 20 to 24 teams in time for the 2027 tournament, to enhance its position as "the pinnacle global event."